Women call this one of the lingering issues of her lifetime – losing weight. Well, I myself have been struggling to pass at least with acceptable mark from this dreaded issue too. Childbirth drove my body to gain weight. The first was manageable, the second was less so and before I know it, I have been tucking my rising built-in muffin in my backside, using all the available Spandex I can score of, which seriously made me feel so awful. They say, fats along this part of the body are the hardest to work on and I’m serious when I say that I’ll do what it takes to get back in shape. But thing with dotting mothers, with no extra hands to run domesticity, like me - the spirit might be more than willing to sweat it out but often the schedule is not. Reality is, today’s modern woman wears so many hats. She could be a wife, a mother, a homemaker, a student or career woman and because of her busy nature, she hardly finds time for herself and unfortunately in the process sometimes neglects her health and wellness. Most women also resort to binge or stress eating as food becomes her stress buster whenever she gets overwhelmed. How can one then take care of her health when she has no time to go to the gym regularly? Or when she’s too busy performing other duties and functions. Good News for the Filipinas, CF Sharp has brought Natur House to the Philippines. 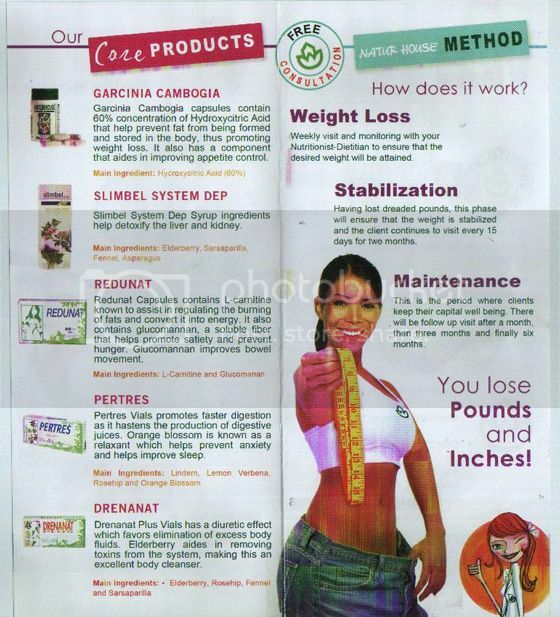 Garcinia Cambogia – these capsules contain 60% concentration of Hydroxycitric Acid that help prevent fat from being formed and stored in the body, thus promoting weight loss. It also has a component that aids in improving appetite control. Slimbel System Dep Syrup – the main ingredients for this are elderberry, sarsaparilla, fennel and asparagus. It helps detoxify the liver and kidney. Redunat – these capsules contain L-carnitine known to assist in regulating the burning of fats and convert it into energy. It also contains glucomannan, a soluble fiber that helps promote satiety and prevent hunger. Glucomannan improves bowel movement. Another ingredient for this capsule is green tea extract that helps improve one’s metabolism. Pertres – Pertres vials promote faster digestion as it hastens the production of digestive juices. Its main ingredients are linden, lemon verbena, rosehip and orange blossom. Drenanat – Drenanat plus vials has a diuretic effect which favors elimination of excess body fluids. Its main ingredients are elderberry, rosehip, fennel and sarsaparilla. Elderberry aides in removing toxins from the system, making this an excellent body cleanser. The Natur House way is convenient, affordable, efficient and effective way to reduce weight. Just after a few months on the program, you can already feel you have lost weight the easy and healthy way. 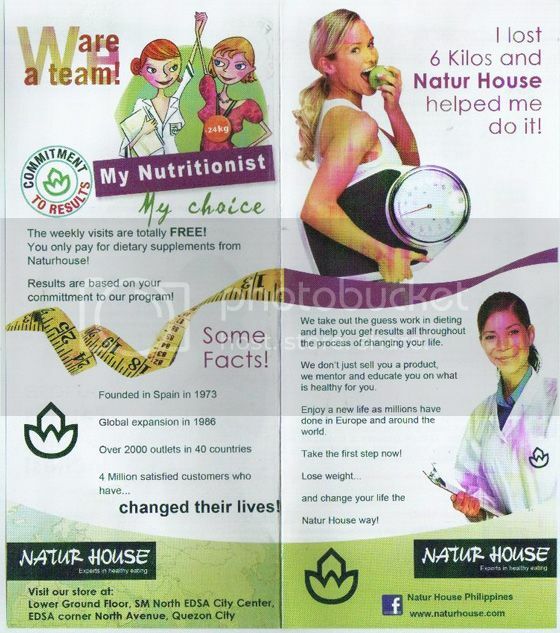 Natur House is owned by Kiluva Group of Spain, a leading Spanish conglomerate in nutrition and dietetics division. They have 2,000 outlets around the world, 900 of which are located in Spain. In the Philippines, Natur House is located at the Lower Ground Floor of SM North EDSA, Quezon City. Once you visit the store you can also avail of their free nutrition services with their in-house nutritionist. Embrace the Natur House lifestyle today and be healthier and happier.